When buying the best tennis ball gifts, remember this: Tennis is not just a sport, it is a lifestyle! There are many directions to go when deciding which cute, personalized, unique, cheap or unusual tennis ball gifts to get your friends, family, or even you may want. Tennis gifts range from quirky tennis themed items to innovative gear for training. In this article, we will cover a bit of both, staying on the theme of gifts that involve tennis balls. The craziest thing about this list of tennis ball gifts, is that only one of these gifts involves actual tennis balls. Customized Tennis Ball – The first item on our list of best tennis ball gifts is a simple, yet effective gift. And it is the one that involves tennis balls! It blurs the line between how it can be gifted and used. Some may use it as decoration, or maybe even a party favor. Others may use it in recreational matches or practice. The customized tennis ball by ChalkTalk Sports lets you decide what the logo printed on the ball says! Who needs to know what brand the tennis ball is, right? Put your name on it, a funny phrase, anything! What a good way to get in your opponent’s head when the match starts, they look at the ball, and it has YOUR name on it…These custom tennis balls are made in the USA, and are available on Amazon. You can have up to three lines of text, all for just over $10. Tennis Ball Saver – Another one of the best tennis ball gifts is the Gexco Tennis Ball Saver. This technology has been around for a while, but seems to be a bit of a hidden gem. 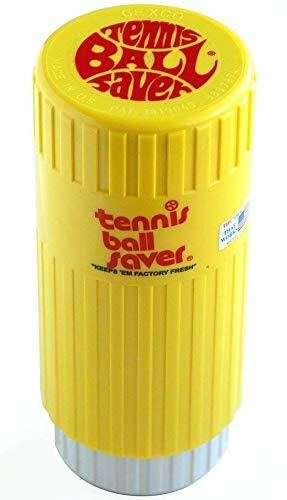 The yellow and white canister can hold three tennis balls at once. The idea is that if you crack open a new can of tennis balls, you then put it in this device after each hitting session. 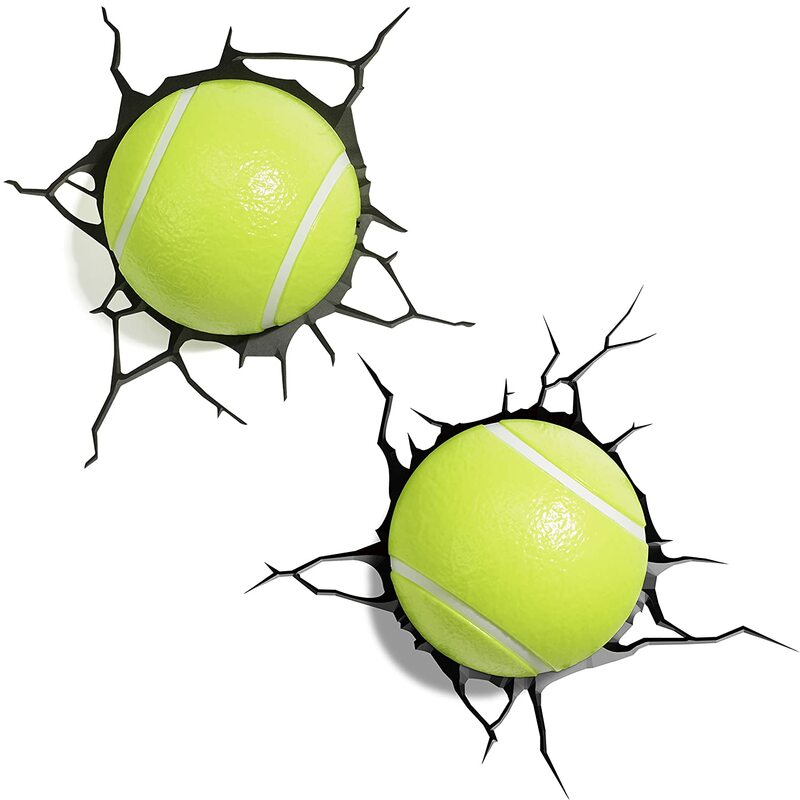 The Ball Saver does not revive old tennis balls, but rather keeps fairly new balls from losing their bounce. Simply put three tennis balls in this can, and its pressurizing mechanism puts new life into recently used tennis balls. They call themselves the bane of tennis ball industry, and that makes a lot of sense. A small investment in the Gexco Tennis Ball Saver, and you can save a ton of money on tennis balls. The Saver sells on Amazon for less than $20. Knowing that a can of three tennis balls sells for between $2 and $5, this gift could save a tennis enthusiast a ton of money over time. This gift is available on Prime, and with a 4.5/5 rating from 316 customer reviews, it is for sure a winner. 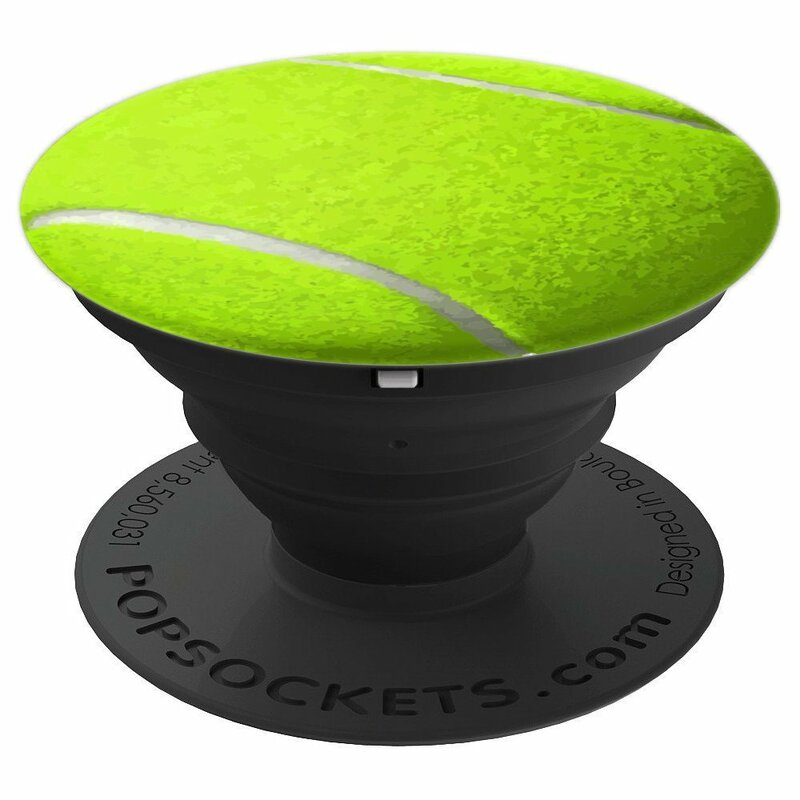 Tennis Ball Grip and Stand for Phones – A great little stocking stuffer for the tennis fan. This collapsible tennis grip provides a secure hold for easier texting, calling, photos and selfies. It is expandable stand to watch videos, take group photos, FaceTime and Skype handsfree. Reviewers say it is very durable, however, one reviewer notes that while it may look like tennis ball fabric in the photo, it is actually cardboard. 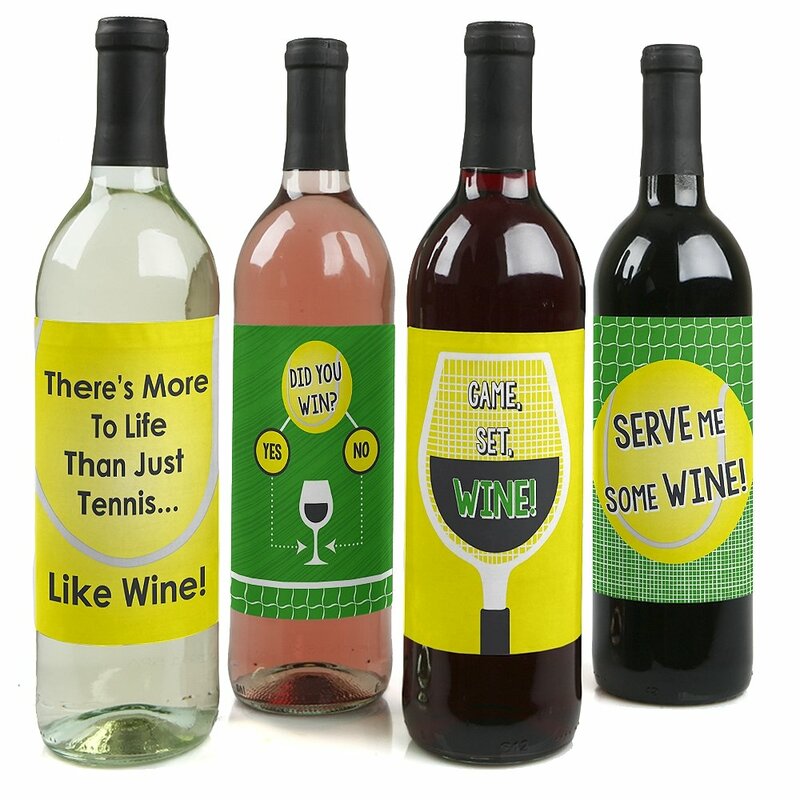 Tennis Wine Labels – Game, Set, Wine!!!!! How fun are these Tennis Wine Labels? While we don’t agree with the "there’s more to life than just tennis" label, the rest are great! Win or Lose? Drink Wine. These fun tennis gifts work for everyone who loves tennis. You get 4 tennis wine bottle sticker labels in the tennis theme and each is 4 inches wide x 5 inches tall, perfect for standard 750 ml bottles. A perfect unique tennis gift idea! Tennis Ball Night Lights – Who doesn’t want a night light that looks like you smashed an ace into the wall, right? Many devout tennis players dream of winning big matches. Take that up one more level by having a tennis ball softly illuminate your room or hallway as you sleep. Simply put in a few batteries, mount this tennis ball night light onto the wall, and you are good to go. To make it look even more kitschy, add the “cracked” sticker onto the wall before mounting the night light Any visitors will definitely fear your forehand! This LED night light tennis gift is sold on Amazon for less than $15, and is a Prime item. 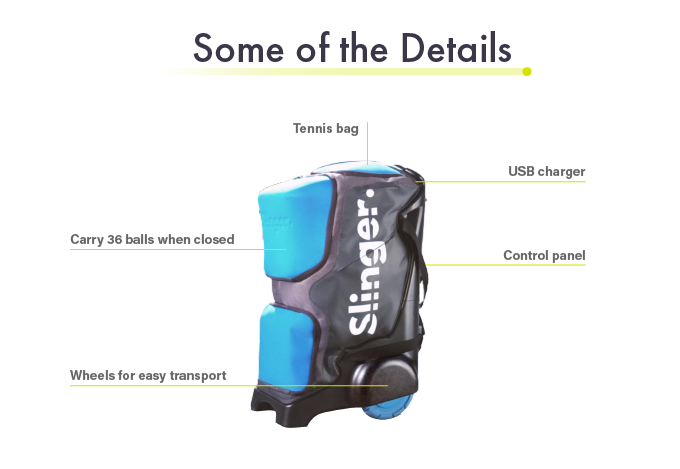 Slinger Bag – This exciting new product is a big, big deal to tennis players of all levels and among the top of the best tennis ball gifts! The Slinger Bag is many things, but primarily, it is a ball machine. It is extremely portable, relatively lightweight, and battery powered. The Slinger Bag can hold about 70 tennis balls, but also has space for your rackets! It launches tennis balls at speeds ranging from 10 mph to 80 mph. The estimated shipping date for this product is October 2018. However, the time to buy is now. It smashed its funding goal on Kickstarter by raising $731,170 dollars and sold out on that platform. It is still live on IndieGoGo, and the prices are staying low until August 31. For the basic kit, which includes just the Slinger Bag ball machine itself, it is only $269. That is an absolute steal! It will most likely be a few hundred more dollars when it retails in stores. Other add-ons include a remote to turn the ball machine on from across the court, and a platform to make the ball machine rotate. Both add-ons are available for an additional charge. Visit our link to get the Slinger Bag on IndieGoGo at the “backer” discounted price. If you are late to the party, info on where to buy this item once it hits stores will come up on the IndieGoGo site via updates, but also at http://www.slingerbag.com It is hard to believe such an incredible product is available for such a low price, but check out the video on the IndieGoGo page to see it for yourself!